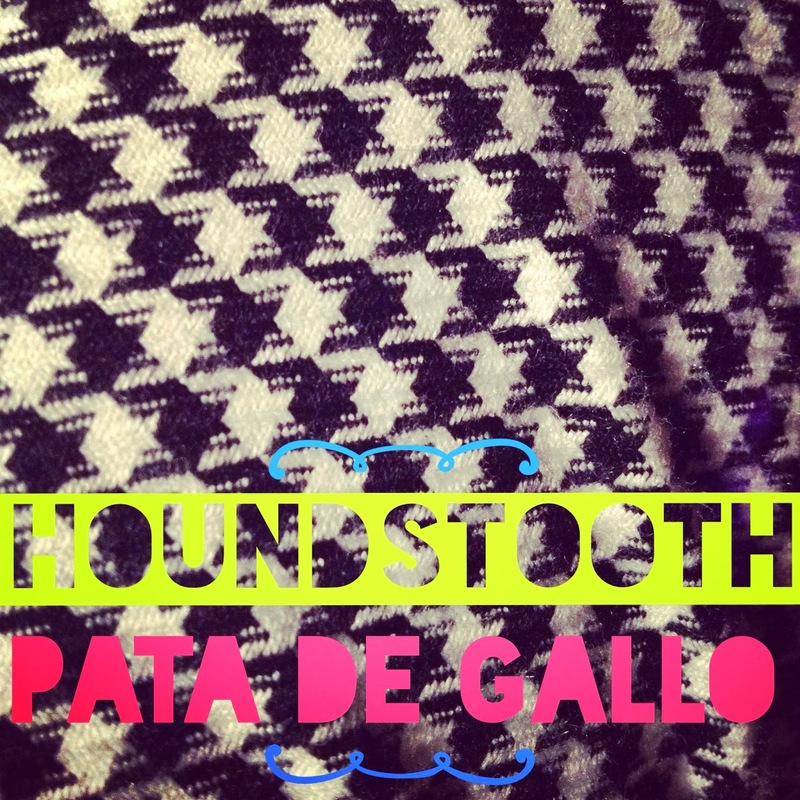 On this Sunday my word of the day is "houndstooth", which in Spanish translates to "pata de gallo." This is one of my favorite prints right now and I love that it can be found EVERYWHERE. 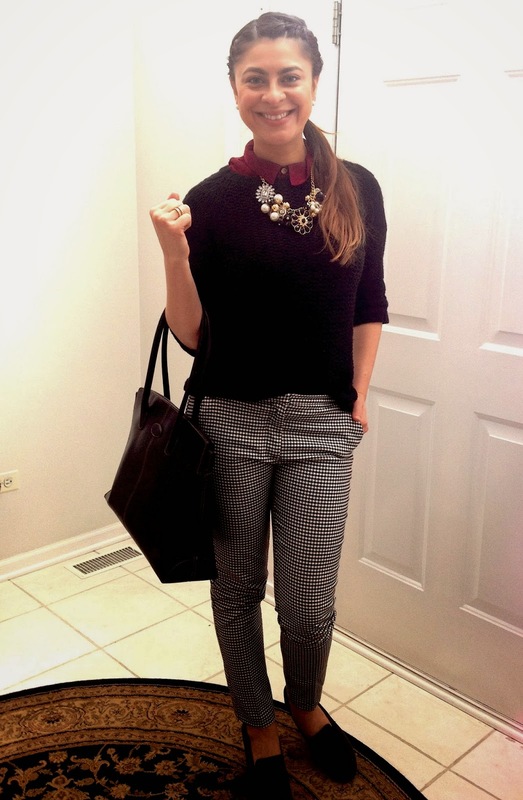 What's so great about houndstooth? 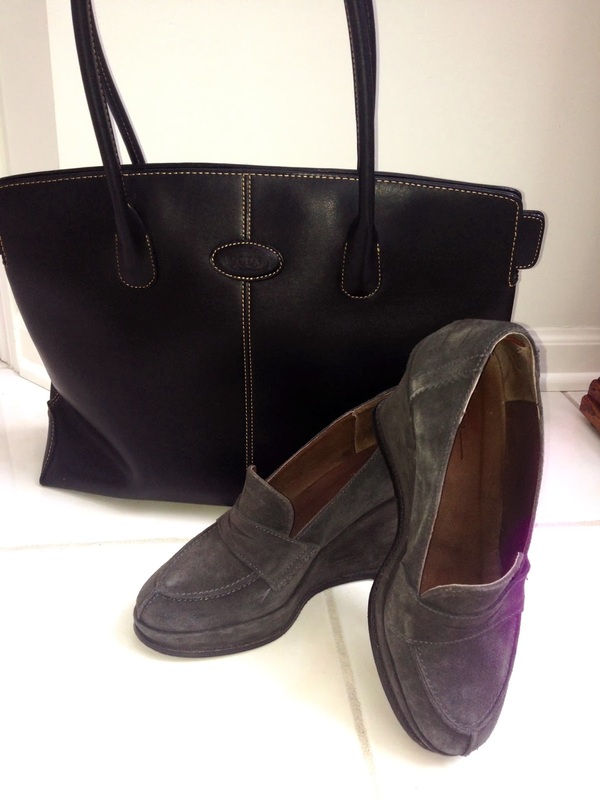 It's both versatile and easy to mix and match. 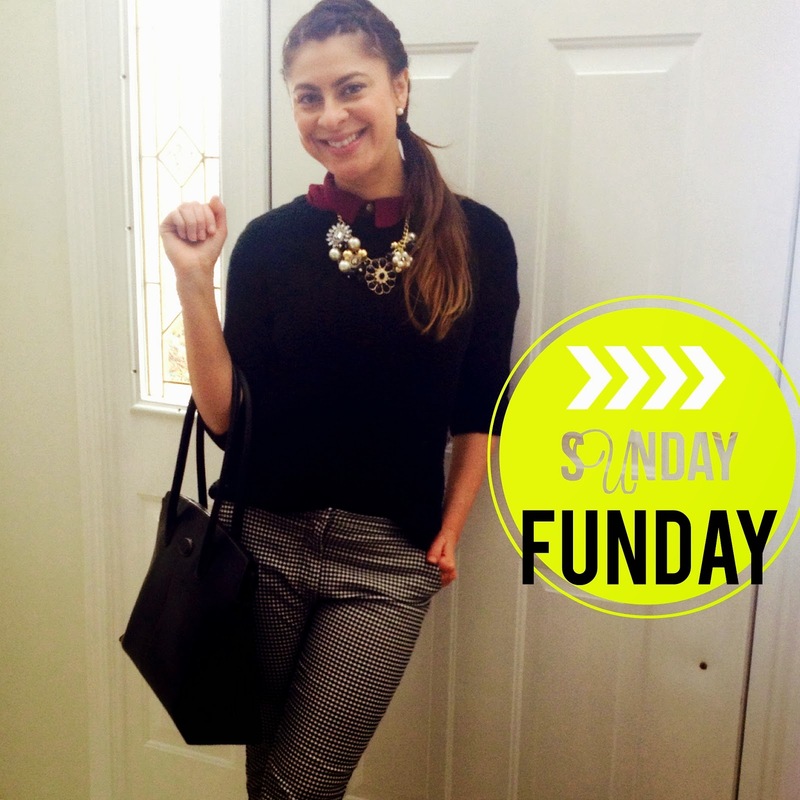 You can pair it with a blouse and heels for an office-friendly outfit but you can just as effortlessly dress down the print with a comfy sweater and loafers for a stroll around town on a Sunday. This raspberry hi-low shirt adds a great peek-a-boo pop of color to the back of this split sweater and around the collar. You look great!! PS it was great meeting you the other night!